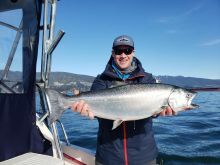 Vancouver International Boat Show Sale! 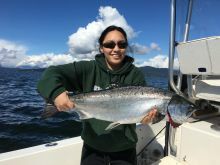 Winter Chinook Salmon Charter Special! 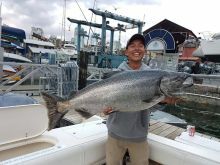 Things are definitely getting exciting in local Vancouver waters! 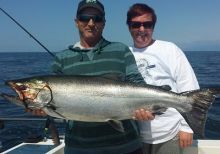 Things are steaming along very nicely and most days are seeing productive fishing for chinook salmon up to 20 pounds. 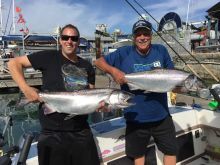 It has been another very consistent stretch of fishing over the last couple weeks. 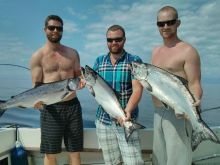 Most of our trips have been seeing good action with 6 to 10 hook ups an outing being pretty standard. 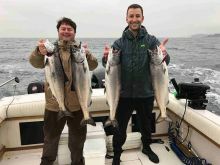 Now that we are getting into the latter part of November, we are starting to get more motivation to head back out to chase winter chinook salmon in local Vancouver waters. 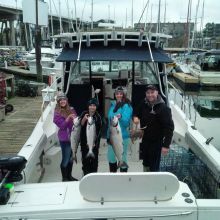 We have had some excellent fishing this week in local Vancouver waters. 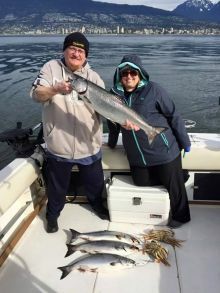 Solid numbers of big chinook in the 15 to 35 pound range have been making their way into the Fraser River. 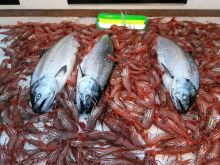 We are now in the middle of our spring chinook fishery in our local waters. 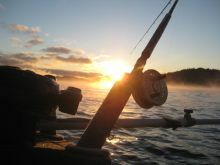 Fishing has been productive overall, but some days you have to put your time in to get your chances! 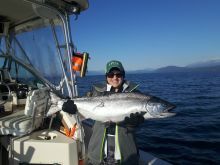 Right on schedule the Gulf Island's have really heated up over the last few days! 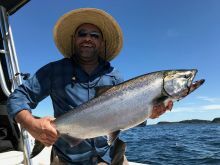 The eastern shoreline of Gabriola Island up to the Five Fingers seems to be the place to be. 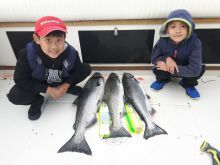 Our spring chinook fishery is now in full swing in local waters. 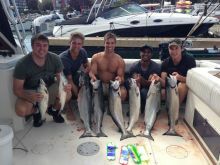 With the great weather forecasted this coming week, we should be in for some solid fishing in Vancouver! 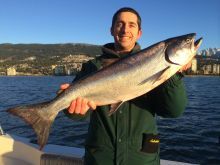 Spring has definitely sprung in local Vancouver waters! 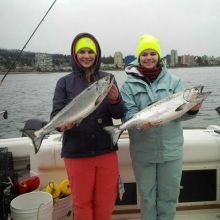 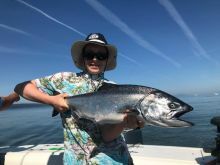 Chinook salmon are in local waters in good numbers and the average size of the fish is very impressive for early April! 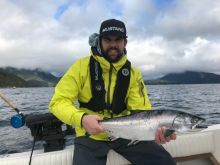 Boat Show Sale - New And Used Gear! 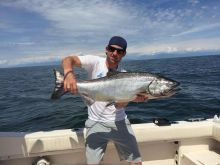 What a great start to 2015... 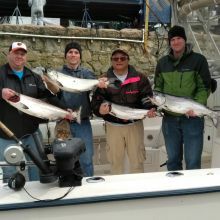 The winter chinook salmon season is now in full swing! 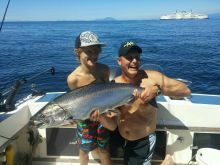 We have had a number of trips out over the last week with some pretty solid results. 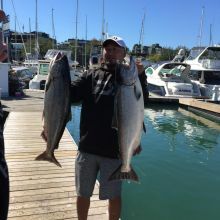 Vancouver Winter Chinook Charter Special! 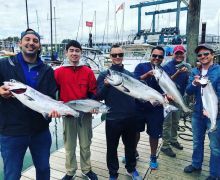 Vancouver Fishing Report, Labour Day Weekend! 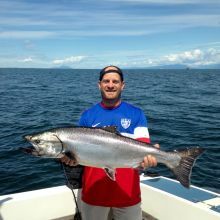 Vancouver Fishing Report, August 19th, Big Chinook!!! 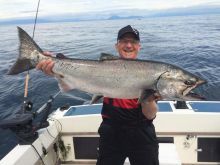 Bon Chovy And Gibbs Delta Tackle - Fishing Contest! 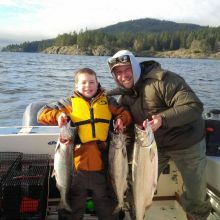 Christmas Gift Certificates!! 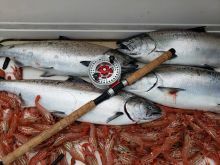 Save 10 Percent! 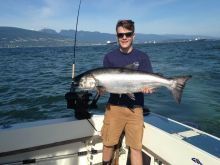 Celebration Of Light! 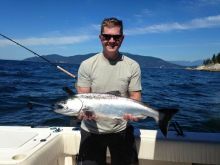 Vancouver Fireworks Charters! 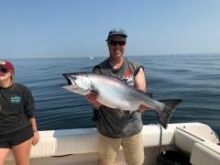 June 28th Report! 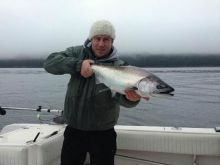 Coho Are Showing Off West Van!